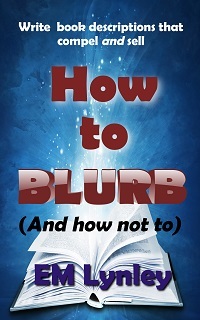 Hate writing blurbs and book descriptions? I used to hate it too, until I figured out a formula and method. It’s all contained in How to Blurb, available exclusively at Amazon around the world. If you’d like some personalized assistance in writing your blurbs, I’m here to help. I will write your fiction or non-fiction blurb from scratch, using information you provide on a worksheet. Blurbs are tailored to the genre and style of the book. We can do 2 rounds of approval, until you’re happy with the blurb. Price depends on genre and/or complexity of story. Blurb repair starts at $10. I will tweak or edit your blurb as necessary, so that it correctly reflects your book and is compelling enough to get readers to buy. We can do 2 rounds of approval, until you are happy with the blurb. Price depends on genre and blurb length. Use the form below to let me know how I can help you!